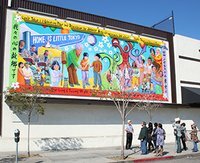 Learn about Little Tokyo and its history on this special walking tour conducted in Spanish by a JANM volunteer. JANM . Last modified Jan 09 2018 4:33 p.m.